Simmons Plumbing and HVAC has been installing efficient water heaters in Massachusetts and Southern New Hampshire for years. 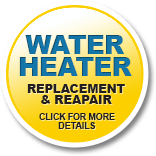 If you live in Haverhill, MA or Portsmouth, NH and require a standard tank water heater either gas or electric or an on-demand tankless water heater let Simmons be the company to go to. 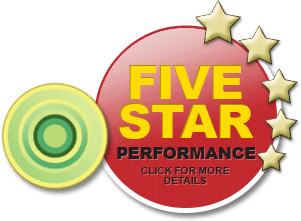 Our experienced and certified technicians will help you find the right product to fit your lifestyle and get it installed quickly and professionally. 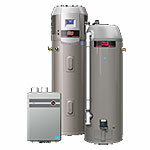 Contact Simmons Plumbing and HVAC today to handle all of your water heater and heating needs. 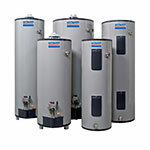 Standard water heaters have been, by far, the work horses of the plumbing and heating industry. 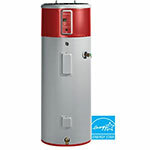 Typically, after Simmons Plumbing and HVAC installs one of these water heaters, there may not be any hot water related issues until the useful life of your water heater is over. 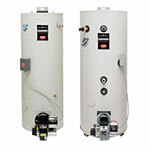 Initially, it is less expensive to install a standard water heater. 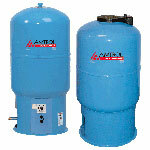 Most tanks come with a six year warranty and an option for up to ten years can be purchased. 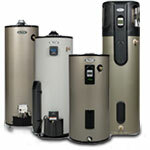 Standard gas water heaters that vent into a chimney and electric water heaters represent the least efficient heaters. Starting in 2015, standard tank type water heaters, both electric and gas are slated for big improvements in required efficiency standards. This will narrow the gap between them and On Demand Water Heaters, but there will still be a wide margin for cleaner exhaust, better operational costs and endless hot water, with the advantage going to the On Demand Water Heaters. 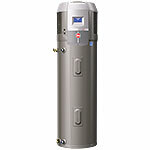 At first does cost more to change out a standard water heater with an on demand water heater. Gas piping will almost certainly need to be changed to accommodate the input demands of these water heaters. 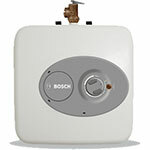 Typical gas inputs of a 40 or 50 gallon tank on a Standard Water Heater would be 40,000 BTU’s per hour. The up fit gas change for and On Demand Water Heater would require a need for piping to supply 180,000 to 195,000 BTU’s per hour. The reason for this is because to have a continuous flow (3 gallons a minute through the heat exchanger) of hot water more gas is needed to change incoming the water temperatures of 45 degrees to 130 degrees. 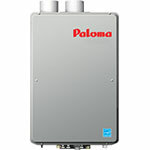 In the end, however, switching to a tankless water heater will save you money. 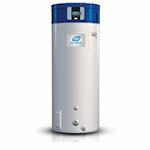 The reason on demand water heater ultimately costing less is because they are more efficient. 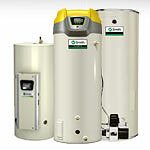 Heat is not lost during down time to the chimney with an On Demand Water Heater. 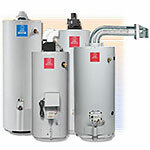 With a Standard Water Heater heat loss through the chimney, walls or the tank itself will cost more. Also the water in the tank needs to be continuously monitored and heated, so it remains at 125-130 degrees when needed. An On Demand Tankless Water Heater does none of these things. If no hot water is being used it simply does not come on. With an on demand water heater, your current energy use to heat your home’s hot water will eventually be cut by 25 to 30%. That is a substantial overall savings on your utility bill. Also you will never run out of hot water. 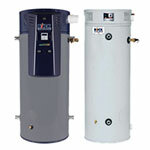 However, there are some things to consider when using an On Demand Water Heater. Initially the pre-run time needed to get hot water will be extended, so there will be some wasted water down the drain, so to speak. With most installs the exhaust and supply air piping will exit/enter the home on one of your side walls of the home and some of this will be seen. 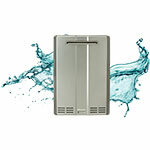 The exhaust from your Tankless Water Heater is mostly water vapor, a byproduct of burnt natural or LP gas, in winter months you will see a fog like haze. 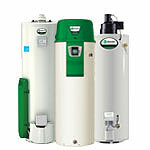 Water conditions should also be considered when deciding on an On Demand Water Heater. And as with any major home appliance some maintenance is required. Mineral deposits, in particular should be addressed. Warranties vary but Simmons Plumbing and Heating uses a brand that provides a manufacture’s warranty to our customers. 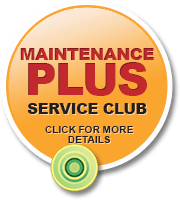 It includes coverage on parts for two years and a 15 year heat exchanger warranty (against leaks) with a full water heater replacement should a leak occur within those first fifteen years. Financial incentives are also available for most customers that have natural gas. New Hampshire customers have monies available for both natural and LP gases. Contact Simmons Plumbing and HVAC for more information. 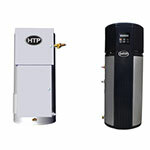 Both types of water heaters will be around for a long time to come. So it comes down to whether you want to save money now or later.